Another variation of above idea is children copy the laminated words – include the missing letters and draw a picture in theirliteracy books. 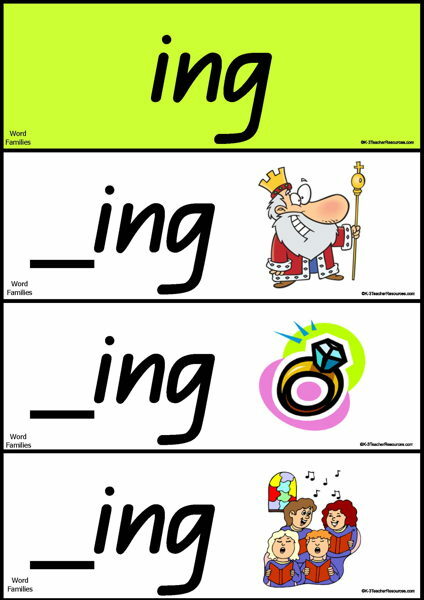 Laminate the pictures and cut them up for rhyme sort games and activities, match them with the plain word cards – play ‘concentration’ with the pictures and the plain word cards. Give each child a word card and a picture and they have to find theirmatching partners. Thanks, these are really useful.